Prakasam barrage will be one of the icons for Amaravati capital city location soon. According to officials, the Haridam organisation, which is handling the works of 38 acres park, pilgrimage centre and tourist spots proposed by the state government in Tirupati, has designed plans for decorating Prakasam barrage along with various other tourist attractions before Krishna Pushkaralu. 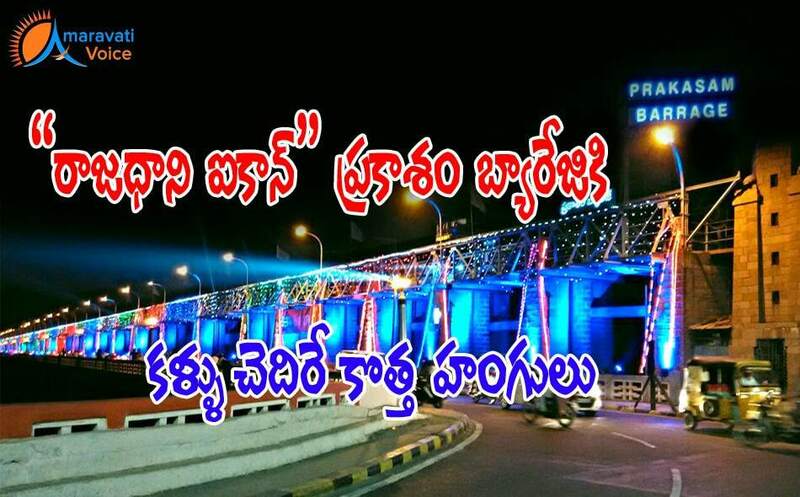 The lighting system on the two sides of Prakasam barrage, laser show and premier fountain would be developed in a permanent manner. Krishna district collector A. Babu said that several organisations submitted their proposals to decorate Prakasam barrage and the irrigation department finalised the designs. In a separate meeting here on Thursday, the district collector directed the officials to take steps for denotifying 197 hectares of forest lands at Kotturu village in Krishna district for constructing houses for the poorer sections of society.